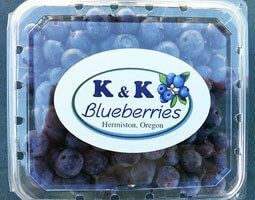 Welcome to K&K Blueberries - U-Pick Blueberries in Hermiston, Oregon! We are now closed for the 2018 season. Thank you for coming out and supporting our small farm. See you next year! Call or visit our Facebook page for up to date information. 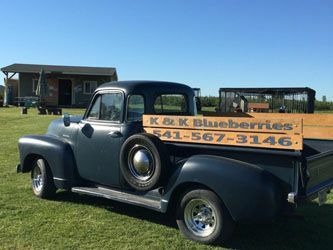 K & K Blueberries offers u-pick blueberries in Hermiston, Oregon. 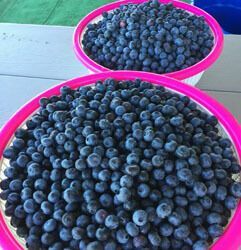 Our farm has 20 acres of Dukes; an early, large, easy to pick variety. Our season typically runs mid June to mid July (depending on the weather). 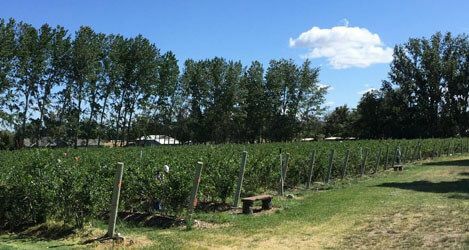 We are GAP certified and we water and fertilize using drip lines to limit contact with the berries. We have parking on both sides of the driveway heading in towards the bushes. Please watch out for sprinklers. We have portable toilets and a hand washing station available for our customers. 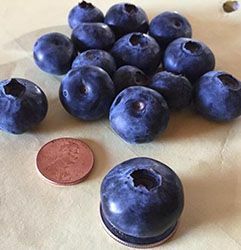 You can pre-order flats of blueberries via email. Please contact us for pricing and availability.